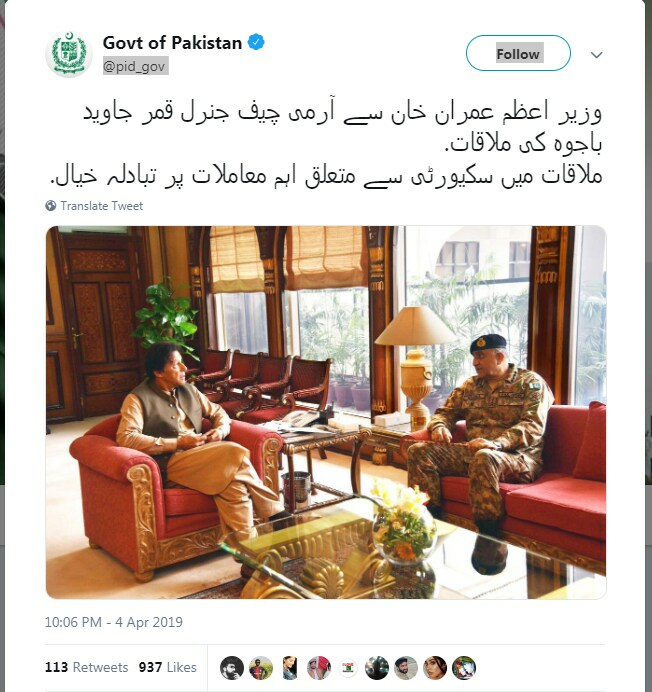 The image, shared more than 4,500 times since it was published on April 7, 2019 in a Facebook post, has been doctored from an original photo of a meeting between Pakistan Army Chief and Imran Khan on April 4. New Delhi: Multiple Facebook and Twitter posts contain a photo which they claim shows opposition politicians, including Congress chief Rahul Gandhi, waiting to meet Pakistan Prime Minister Imran Khan at his official residence in Islamabad. 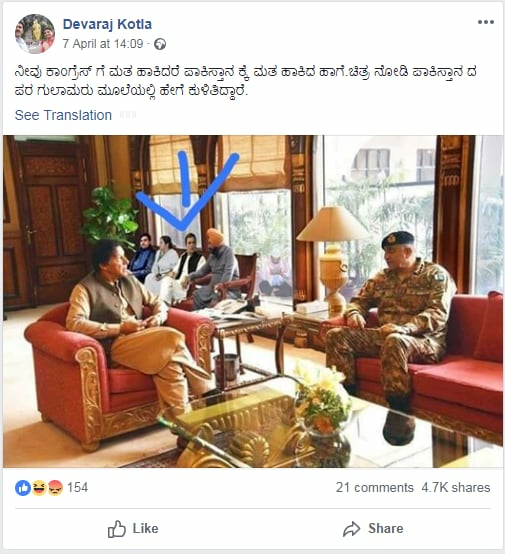 The doctored image has been shared more than 4,500 times since it was published on April 7, 2019 in a Facebook post which claims it shows the opposition politicians sitting in the corner of a room while the Pakistani prime minister talks to the country's army chief. Screenshot of the misleading Facebook post. The image purportedly shows Rahul Gandhi, West Bengal Chief Minister Mamata Banerjee, Punjab minister Navjot Singh Sidhu and BJP-turned-Congress MP for Shatrughan Sinha sitting on chairs behind Imran Khan. The doctored image also appears to show Delhi Chief Minister Arvind Kejriwal offering namaz outside the window. The misleading image with similar captions has been posted multiple times on Facebook and on Twitter. Screenshot of the original image posted on Twitter. Rahul Gandhi was visiting Kerala’s Wayanad district to submit his election nomination papers to local authorities on April 4, 2019. Below is an April 4, 2019 tweet from his official Twitter account containing pictures of him submitting nomination papers and campaigning for votes. 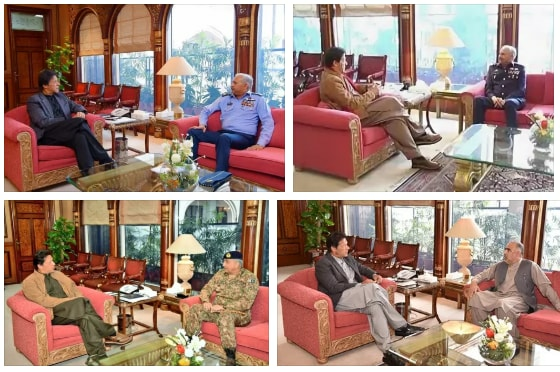 A reverse image search on Yandex found multiple other photographs showing Imran Khan meeting with different dignitaries in the same room, with the same four empty chairs in the background. Screenshot of the Yandex search results.